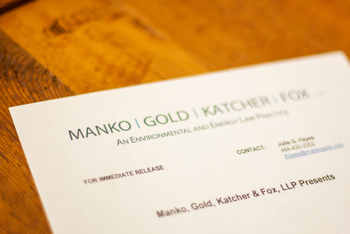 The Academy of Notre Dame de Namur in Villanova, PA and the Winslow Township Middle School in Atco, NJ, are the two winners of the 2016 Environmental Community Service Award, presented by Wawa, 6abc, and the environmental law firm Manko, Gold, Katcher & Fox, LLP (MGKF). The goal of the Environmental Community Service Award is to recognize two schools (6th to 12th grades) for their outstanding programs that enhance and improve the quality of life in their communities as well as raise awareness of environmental concerns. Each school received a $5,000 honorarium to advance their environmental programs. Left to right: Marc Gold, partner Manko, Gold, Katcher & Fox, LLP, Student Katie Leyden, Student Rachel Weber, Student Reilly Bonner, 6 abc Meteorologist Dave Murphy, Academic Dean of Academy of Notre Dame Kim Eife, Student Serena Ruggieri, Student Jane Overend, Student Caroline Allen, Thayer Schroeder, Cultural Specialist, Wawa, Student Jen Nobles, Student Jacqui Coccia, Jaclyn Rhoades, President of Darby Creek Valley Association. 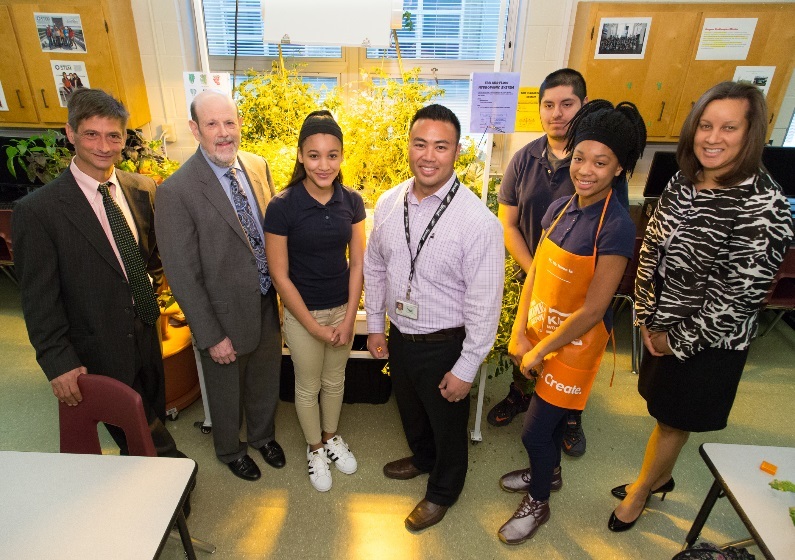 Left to right: Thayer Schroeder, Cultural Specialist, Wawa: Bruce Katcher, partner Manko, Gold, Katcher &Fox, LLP: student Olivia Asare: STEM teacher Ross Cruz, students Frank Arce and Kamrin Felton; and, Niki Hawkins, Public Affairs Manager, 6 abc. Check out the media coverage on our 2016 winners.